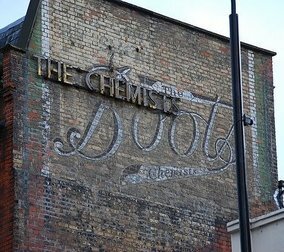 Known as "brickads" in London, England, ghost signs are evidence of businesses and companies of the past painted on the sides of their now repurposed buildings. 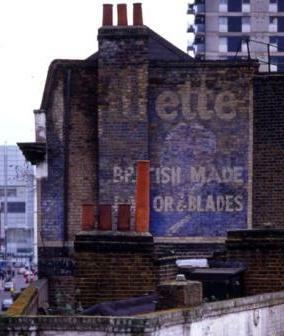 Sam Roberts, my London correspondent, commenting on July 17, 2007 on Episode 1, a November 7, 2005 post entitled "The 'Ghost Signs' of New York," wrote, "Really interesting research, I must get over to New York sometime! 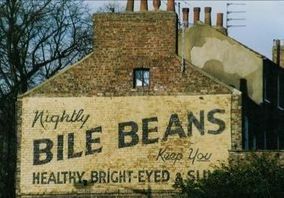 I write about these signs regularly at www.ghostsigns.co.uk. 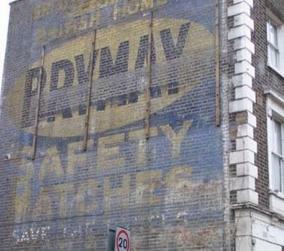 Also, some research on preservation/protection can be found at brickads.blogspot.com/search/label/Protection." Above, brickads from Sam's collection.